Garbage and trash can cleaning is not normally high on my priority list, but sometimes it becomes necessary, such as when the can starts to smell, or when something yucky spills in there. 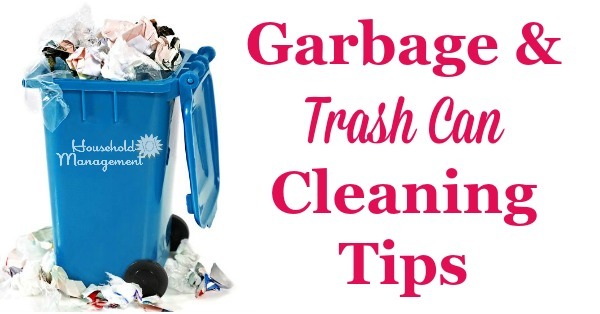 In fact, my need to clean my kitchen trash can prompted me to think about this topic and share some garbage can cleaning tips with you. If you are Oscar the Grouch maybe you don't care if your trash can is stinky or nasty with sticky stuff and germs, but since I have little kids sticking their hands in the garbage can I know I care about its cleanliness. The easiest trash can cleaning tip I have is to not get it too dirty in the first place, and the easist way to do this is to always use a trash bag. You should consider a trash bag for every trash can in your house, but it really is a matter of convenience for trash cans in your home office, for example, where you only throw away paper (typically). 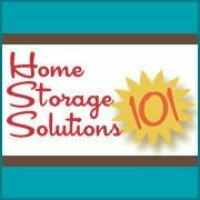 In any garbage can in your home in which you throw away food or other materials that can be wet, sticky, or stinky you need to use a garbage bag in the can. All trash, both dry and wet, needs to be placed in trash bags when placing it in your outside garbage cans before collection by the garbage collectors. It is easy, when you are in a hurry, to smash the trash down and shove more in there. However, in the end this will cost you both time and convenience. Convenience is sacrificed because it is a big pain to keep shoving down the trash in the trash can to put more in, and also you will absolutely not be able to fit something nasty and messy in, say while cooking dinner, at the most inconvenient time. In addition, you sacrifice time because when you overfill the trash can it takes longer to empty, because you struggle with the bag, and maybe overflow garbage that must be placed in a new bag. It also wastes time because you will have to clean your trash can more often, because of the overflow. Make it a part of your daily cleaning schedule to take the trash out of the kitchen, and other high traffic areas. Similarly, make it part of your weekly cleaning schedule to take out the trash to the curb each week for pick up, and at the same time take out trash from each can around the house. No matter how much you try to keep your trash cans from getting too gross with the tips above, nonetheless they will periodically need to be cleaned. You should clean your garbage cans every few months, perhaps once a quarter, and also as necessary if there is a big spill or a smell develops. 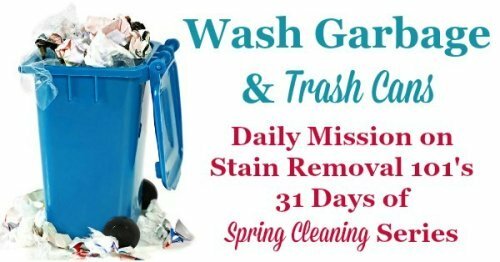 The best time for trash can cleaning is after you have taken out the trash, and before new trash needs to be placed into the can. Therefore, it is easiest to do garbage can cleaning on trash day, after trash pickup. Step 1: Empty your trash can. Step 3: Use this recipe for homemade disinfecting cleaner to wash out and disinfect the trash cans. Make sure that you allow the disinfecting cleaner to sit long enough to do its job, approximately five minutes. You may need to use a stiff brush to scrub any gunk out of the trash cans, and to get into the corners of the can to make sure it all gets clean. Step 4: Rinse the can thoroughly, and turn upside down to drip dry. Make sure that you let the trash can dry completely before adding new garbage, or putting in a garbage bag or placing on the lid. If you don't then you will have created a new breeding ground for germs and smells, because of the moistness.